EDINBURG — A statewide conference will be held here to discuss disparities, emerging challenges and possible changes to the healthcare act as it pertains to border communities along the U.S.-Mexico border. The Border Health Caucus will host the 12th annual Border Health Conference in the Rio Grande Valley for the first time since the group first began hosting the event. The caucus is an extension of the Texas Medical Association, the largest nonprofit group advocating for physicians and medical students in the country. With over 50,000 members, TMA influences policy at the state and federal level, and the head of the organization is a local physician. Dr. Carlos Cardenas, board chairman at Doctors Hospital at Renaissance. Dean of the UTRGV School of Medicine Dr. John Krouse along with Dr. Carlos Cardenas, president of the Texas Medical Association, speak during a press conference to announced a conference that will address healthcare funding and border health issues, Wednesday Aug. 2, 2017, at the Edinburg Conference Center at Renaissance in Edinburg. Prominent physicians, legislators and community stakeholders are expected to convene Friday at the Edinburg Conference Center at Renaissance, where three separate panels will discuss public health issues, like Zika and Dengue, infrastructure and possible changes to healthcare funding. Most panelists will hail from communities located between Brownsville and El Paso, as well as Corpus Christi and San Antonio. “The delegates that have been designated to speak at the event are the ones that influence policy — the ones that influence change,” Hidalgo County Health Director Eddie Olivarez said. Among those invited are U.S. Reps. Vicente Gonzalez, D-McAllen; Filemon Vela, D-Brownsville; and Sheila Jackson Lee, D-Houston. Gonzalez is currently part of the Problem Solvers caucus, a group of 43 Democrats and Republicans currently working on finding solutions to some of the most-pressing healthcare issues, including the stabilization of the market. The conference comes on the heels of a failure by Republicans to repeal and replace Obamacare. And while the measure failed, Cardenas believes changes to the current system are coming. The conference aims to figure out how to best reform the current system by “keeping what works, fixing what’s broken, and getting rid of what doesn’t work,” Cardenas said. However, any changes in Medicaid or Medicare policy will especially affect residents along the border and in rural America, where many depend on the social services. 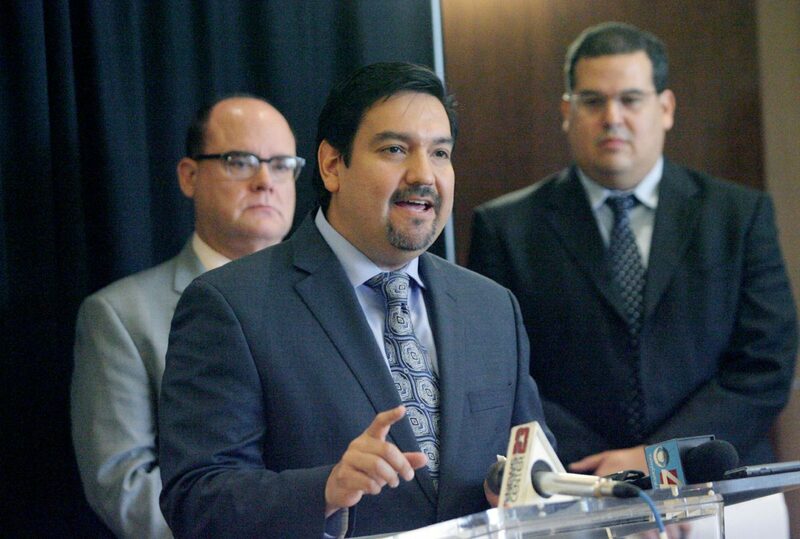 “We will certainly feel whatever change is made acutely here … because the majority of funds that fuel the healthcare system along the border come from the federal government and the state government,” Cardenas said. The only certainty is that health issues along the border are closely tied to the individuals and the community they live in, offering a sort of connection between physicians working in similar socio-economic areas across the country. 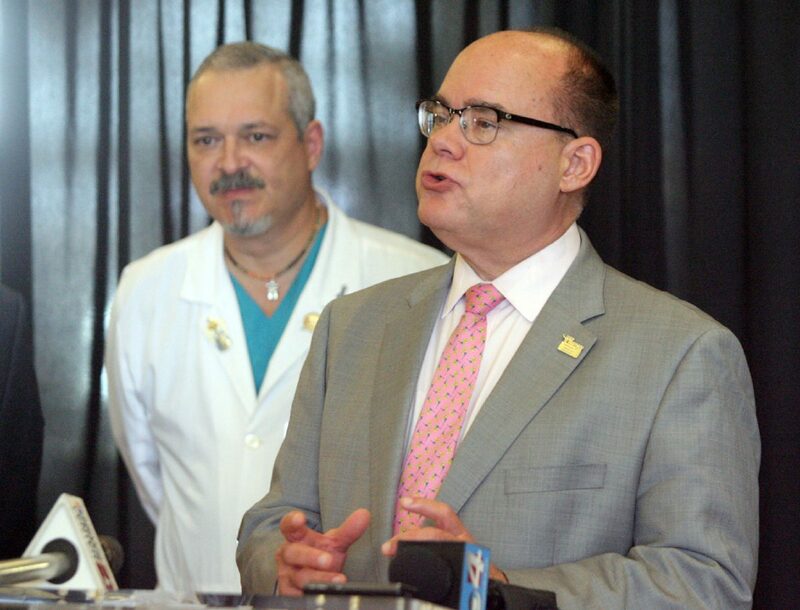 The region has made great advances within the past five or six years, especially with the opening of the new medical school at the University of Texas Rio Grande Valley, Olivarez said. In the meantime, the Border Health caucus aims to continue shining light on the issues through various efforts, including Friday’s conference, which is free and open to the public from 8 a.m. to 2:30 p.m.
“We are keenly and acutely interested in whatever policy comes down the pipe, and we stand ready to be invited to sit at the table because we don’t want to be on the menu,” Cardenas said.